In 2014, I wrote my first blog post about a hidden message in the end credits of the movie Fair Game (starring: Naomi Watts and Sean Penn). 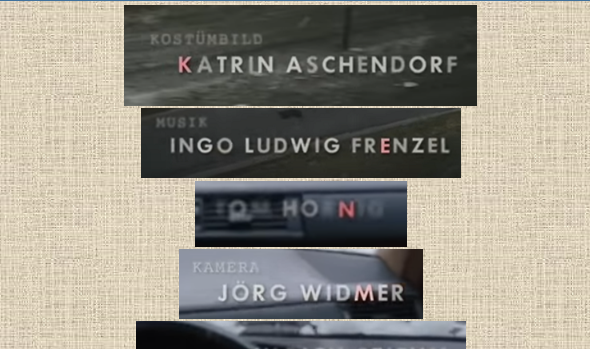 As can be seen in the picture, some letters in the Fair Game end credits are marked yellow. Meanwhile, I have published several articles about this mystery, including a post in my top 50 unsolved crypto mysteries series, but the solution still appears to be unknown. Already two years ago, blog reader Joerg G. from Goessweinstein, Germany, made me aware of a similar hidden message in a German TV movie. To my regret, Joerg’s comment escaped my notice, so I only discovered it recently. The TV movie in question is titled Im Namen meines Sohnes (“In the name of my son”). The plot, which is based on a true story, is about the father of a boy named Hannes, who was murdered 1992. Hannes’ father is not satisfied with the efforts the police takes to solve the crime. He conducts his own investigations and hires a private detective. Only after years, the police can link Hannes’ death with other child murders committed by the same person. 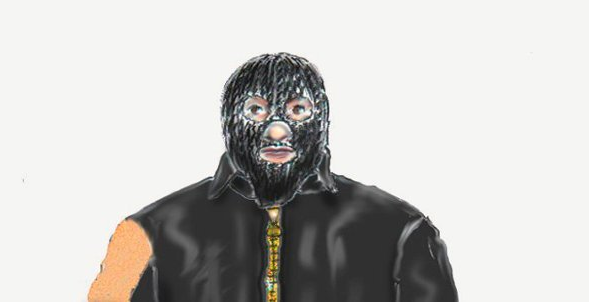 Several witnesses describe this serial killer as wearing a black mask, which is why the press calls him “Maskenmann” (Masked Man”). 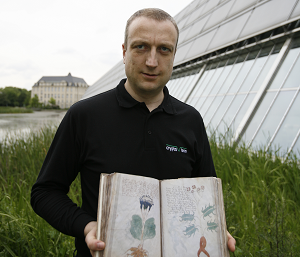 Only in 2011, 19 years after Hannes’s death, the police can finally arrest the killer. Meanwhile, Hannes’ father has spent a fortune on his private invetigations. His wife has left him and he has lost his job. In the last scene of the movie, he reconciles with his ex-wife. I saw Im Namen meines Sohnes last week for the first time and I was quite impressed. In my view, it’s an absolutely thrilling film. Readers of this blog might know that the Masked Man (his name is Martin Ney) has made it to the cryptography literature. After having arrested Ney, police seized his computer. Additional storage devices Ney had used were found months later by a new tenant of his appartment. As it turned out, Ney’s computer hard drive and his additional storage devices were encrypted. Of course, the police was interested in deciphering these data. They might have revealed whether Ney was guilty of other crimes. The police never revealed, which encryption product Ney had used. It might have been the open-source software TrueCrypt, which was the most popular of its kind at the time. IT forensic experts could not decipher Ney’s storage devices without knowing his passwords. However, Ney refused to reveal them. For years, experts at the Lower Saxony Police Department operated a password guessing software, which tested thousands of password candidates per seconds, but to no avail. Two years ago, Martin Ney finally revealed his encryption passwords. Investigators recovered his encrypted files and assessed them. According to a police spokesman, nothing was found that proves that Ney committed further crimes. Contrary to the Fair Game code, this message is not encrypted. The red letters spell out KENMANN. It is not hard to guess that the complete message is MASKENMANN. Apparently, the first few seconds of the film are missing in the YouTube version. 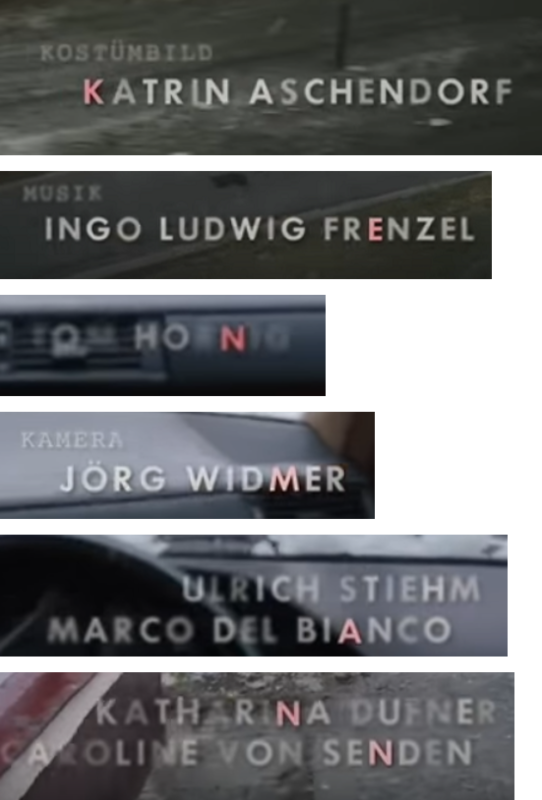 If you have access to a complete version of the movie, it would be great if you could send me screenshots showing the first three letters. Otherwise, we have to trust that these letters exist though we can’t see them. Apparently, Joerg G. saw them, when he watched the film on the website of the TV station (meanwhile it is not available there any more). According to his comment, the message he found was M-A-S-K-E-N-M-A-N-N.
@Rallinger: Thank you very much!